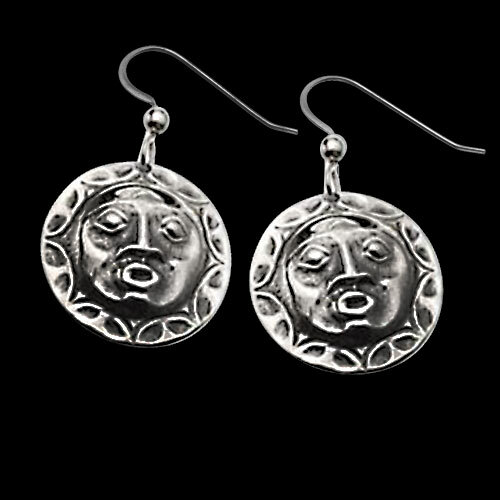 Sterling Silver Moon Mask Earrings by Metal Arts Group. For the Pacific Northwest Natives, time was calculated by the moons. Remarkable events were remembered with ease from generation to generation because of the moons. Twelve moons were added to each calendar year and in the instance a thirteenth moon appeared for a given year, this moon was noted as Tsimshian Moon. .75 x .75 inch Sterling Silver Moon Mask Earrings by Bill Helin. Made in USA.